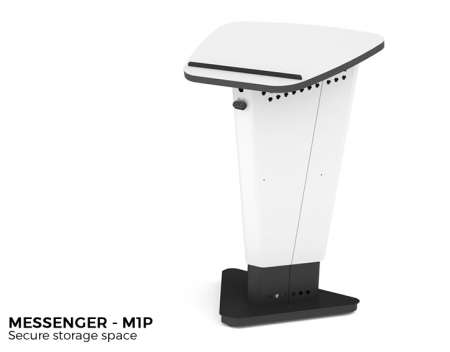 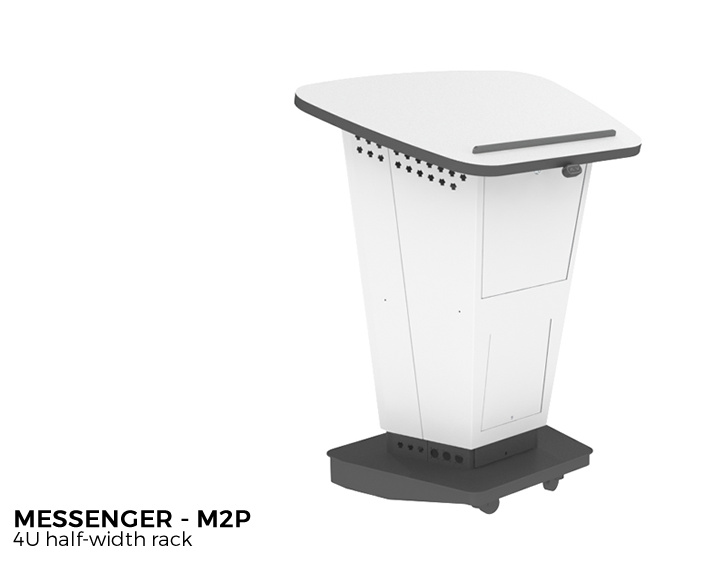 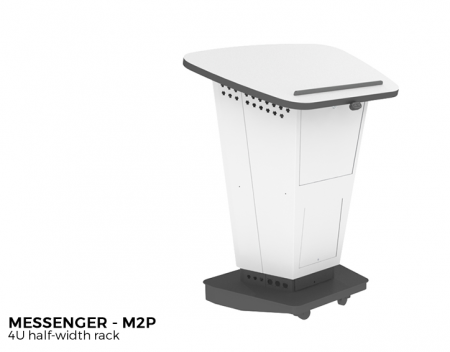 MESSENGER is an elegant and stylish podium suitable for a wide range of presentation spaces with minimal footprint. 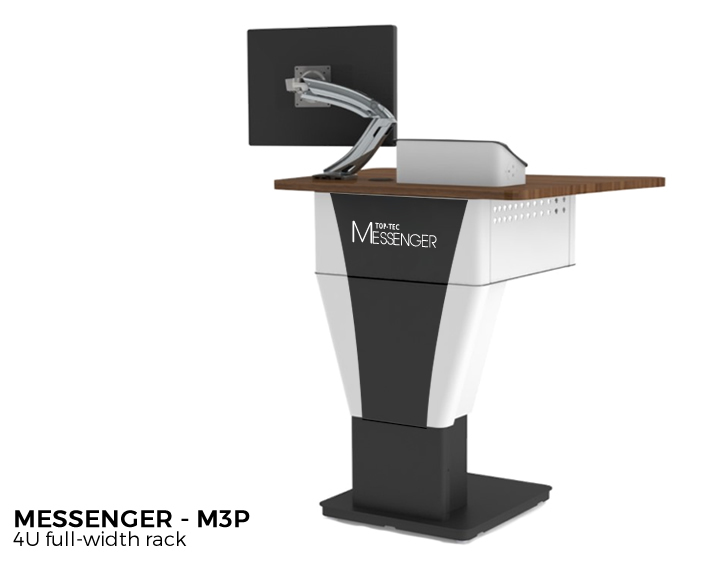 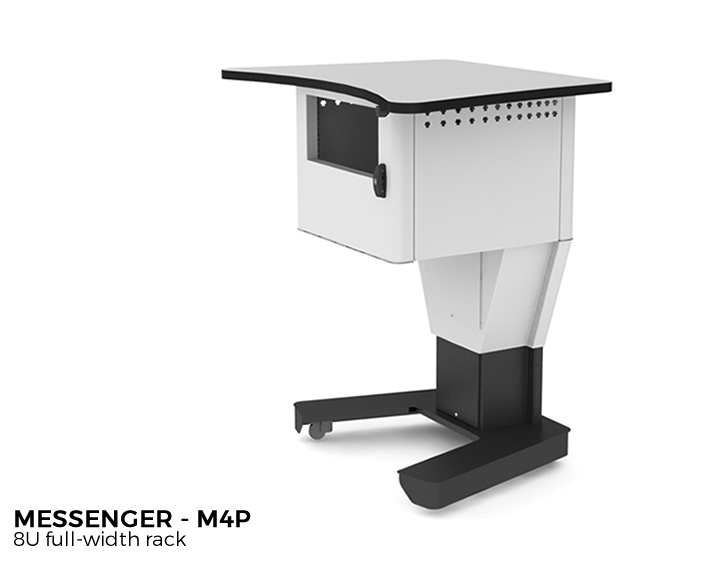 MESSENGER electrically height adjustable to suit all presenters. 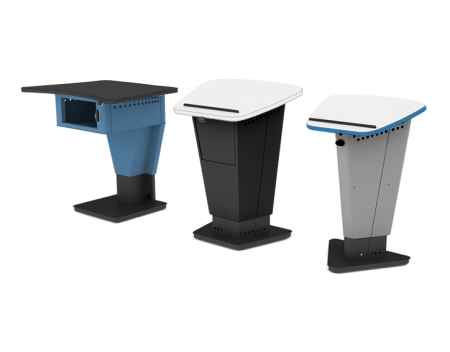 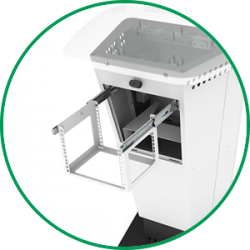 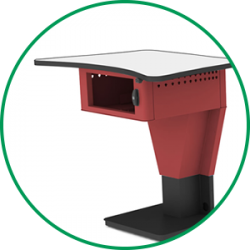 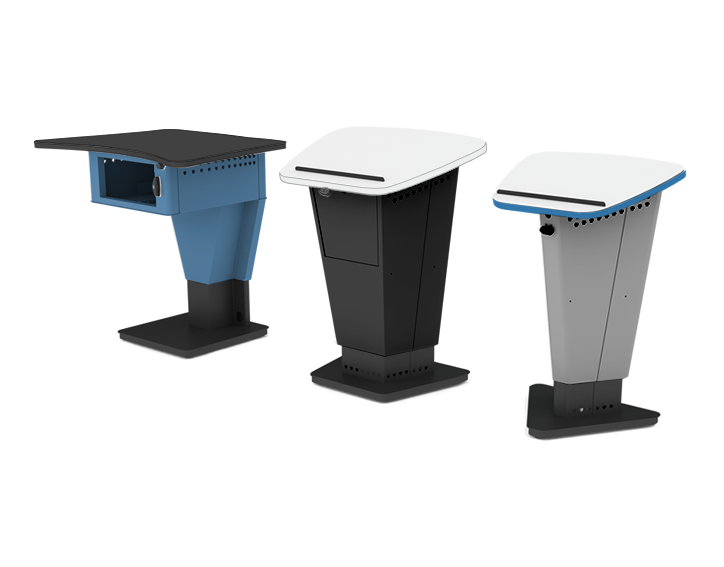 The MESSENGER lectern rises and falls and depending on models selected can be configured with wireless or corded microphones, PCs and other AV technology. 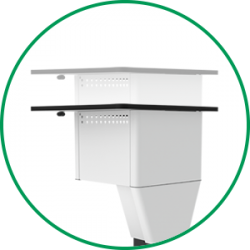 Available with either a flat or inclined work surface or as a portable lectern with or as without castors.